During Jefferson Texas’ 66th Annual Spring Pilgrimage Event you will find many, many things going on in town. 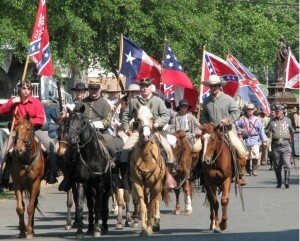 One of the biggest Civil War reenactments in Texas takes place just outside of town. 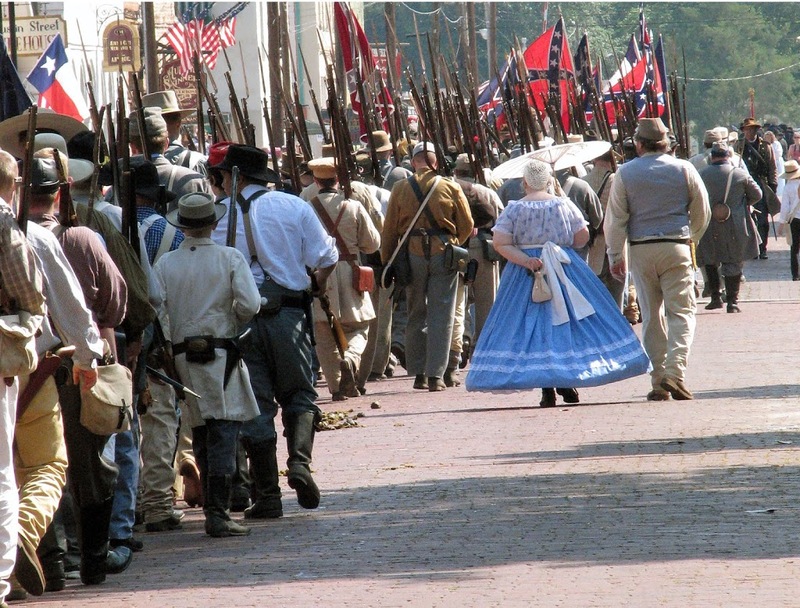 This year you’ll be able to see a sneak peek of the skirmish during the Pilgrimage parade. The parade begins at 10AM. 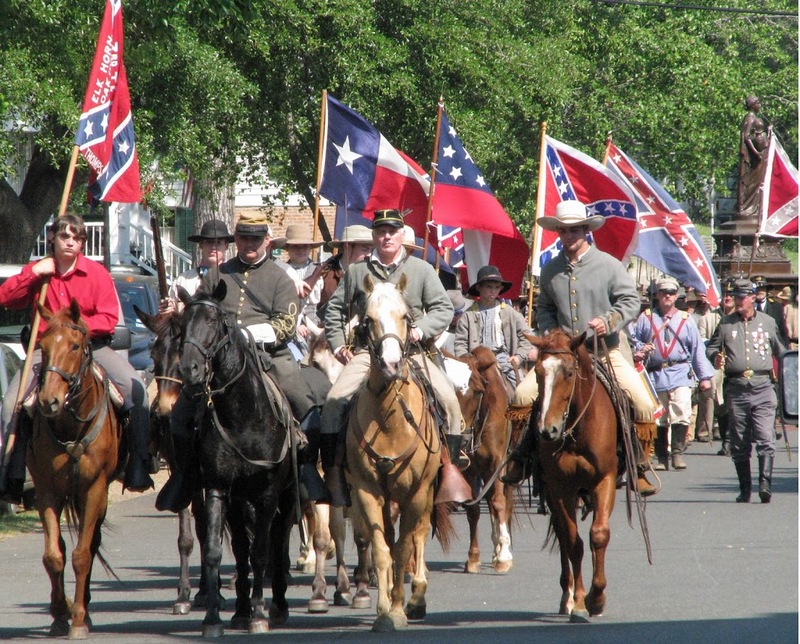 Witness this unique parade filled with horsemen, troops representing both the Union and Confederate Armies, our local Riverport Ambassadors dressed in historic attire and much more. This year the battle field has been moved closer to town which will be much easier to get to and enjoy all the action. The main battles take place on Saturday May 4th at 4:00PM and on Sunday at 1:30PM. You might think you’ll know how these battles go but they are a bit different each day so go to watch them both and you’ll be surprised. There is also a living history camp open on Friday from 9:00AM until 2:00PM; here you’ll get a glimpse of what life was like during those days long ago. Visit the Marion County Chamber of Commerce website for complete information click on he Battle of Port Jefferson tab. This entry was posted in Reenactments, Spring Events by Tammy D. Bookmark the permalink.